Reserve officer Elhanan Brezner collapses and dies, the latest soldier to die following strenuous training activity. 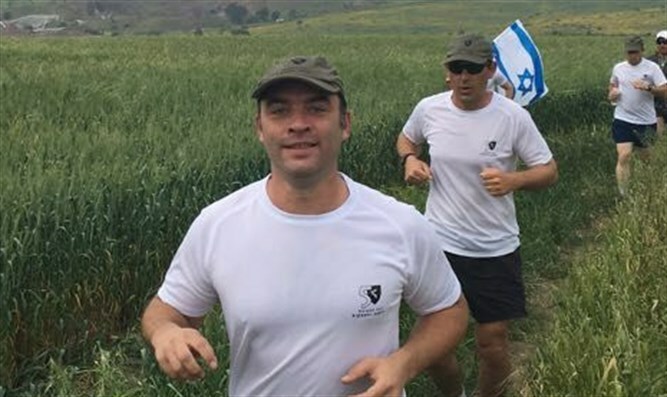 IDF reserve officer Elhanan Brezner, 36, died Tuesday after he collapsed following a military run in the Jordan Valley. Roni Numa, the Head of Central Command, appointed a commission to investigate the incident. The military police likewise launched their own investigation into the death. Brezner is survived by a wife and two children. His funeral will be held on Wednesday at 3:00 p.m. in the Haifa military cemetery. The tragic incident joins a number of previous cases of deaths which occurred following strenuous activity in the IDF in recent years. Approximately one year ago, Yehuda Suissa, a 19-year-old recruit to the Givati Brigade, collapsed and died during an intense training session just one day following his enlistment into the IDF. Half a year earlier, a 44-year-old reservist collapsed and died during a training session at the Adam military facility.